Pickles and Pickle Juice: Healthy or Horrible? If you hang out in nutrition and fitness circles like I do, you’ll come across all sorts of interesting recommendations. Practically everyone has their own personal miracle drug or perfect natural supplement to make their workouts easier. One of these I keep coming across is pickle juice. People just can’t seem to get enough of the stuff. And if you follow their logic, you too should be drinking it before and after every workout. But something about this whole pickle craze hasn’t seemed right to me all along. Don’t get me wrong, I like the taste of pickles – but should you really drink the juice too? Today we’re going to find out whether pickles and pickle juice are great for you, or if they’re part of yet another ridiculous trend. What Are Pickles and Pickle Juice? What Does Science Say About Pickles and Pickle Juice? Your everyday pickle starts life as a raw cucumber, and then it’s submerged into a concoction of vinegar, salt, and spices, and is fermented. After its fermentation, it becomes a pickle – a vegetable with a different flavor and nutritional value than the original cucumber. 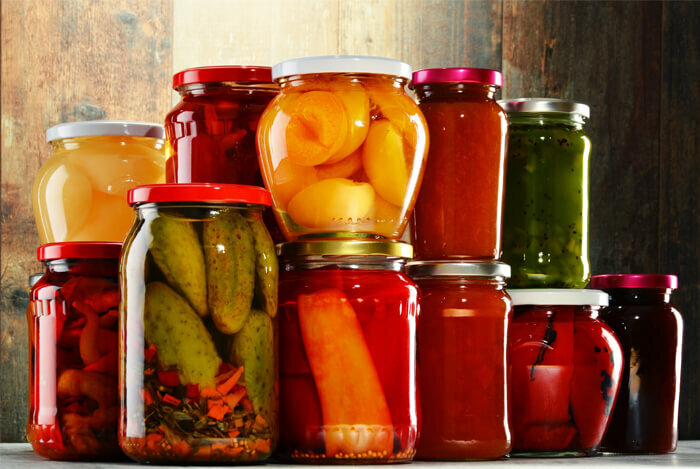 Pickling is an ancient method of food preservation. 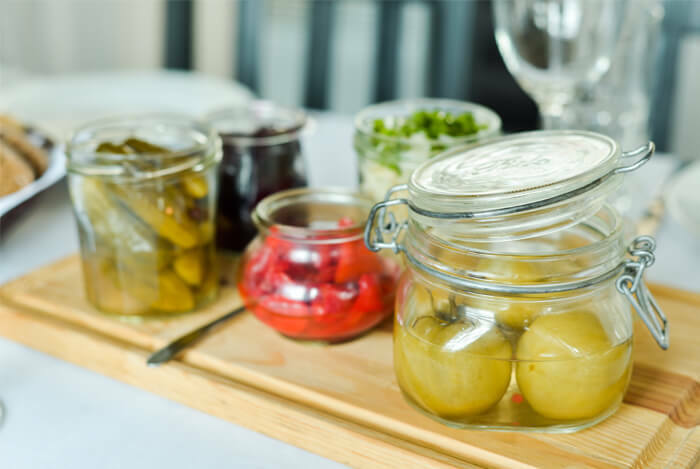 Before human beings could refrigerate or store foods long-term, pickling was the only way to preserve foods for future consumption. 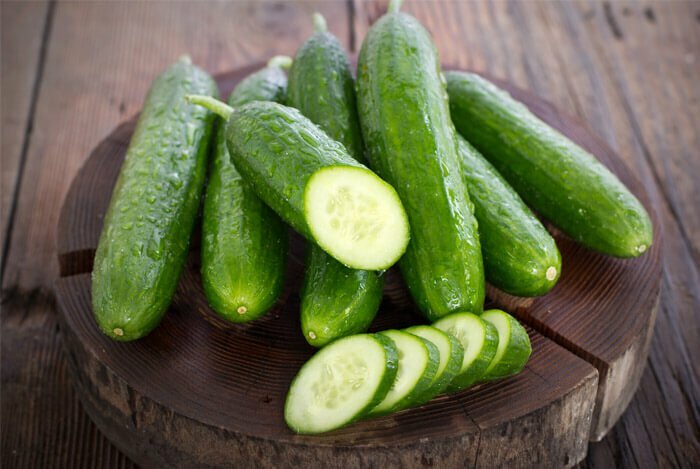 Cucumbers are fermented by Lactobacillus bacteria, which normally cover the cucumber’s skin. During commercial processing, these beneficial probiotic bacteria are usually removed once vinegar is added. The liquid remaining after the cucumber has changed into a pickle is its juice. But when it comes to pickle juice, it’s not really a juice after all. Pickle juice should actually be called pickle brine. Brine is the salt solution meant to preserve food. Anything else added to brine is purely for flavor purposes. A lot of the claims about pickles and pickle juice revolve around the fact that they’re the byproduct of a vegetable – and vegetables are great for you, right? That’s right. The sodium content in pickles is an increase of 1250 milligrams from regular cucumbers. Your biggest positive increase here is in potassium – as a result of the sodium increase. 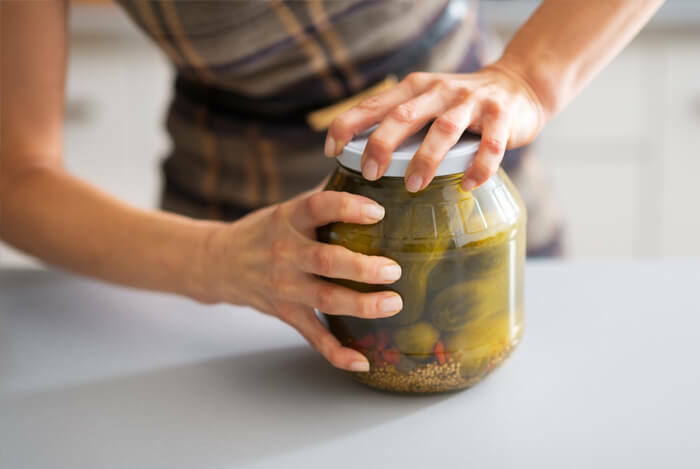 Some claim that athletes who experience muscle cramping during their workout sessions should drink pickle juice to replace their electrolytes and reduce cramping. This is based on the idea that vinegar sends signals to your nerves which disrupts the cramping caused during workout sessions. Would any other brine work just as well? Olive brine or pepper brine for instance? All of these have high levels of sodium and borrow nutrient content from the vegetables in them. The real truth is that science has come nowhere close to proving most of these claims. In fact, if you search PubMed –a website I use constantly to look up scientific studies, you’ll only find a mere 16 results. The studies that have been performed are underwhelming at best. One study found that drinking pickle juice after exercise was not highly effective at replenishing electrolytes. 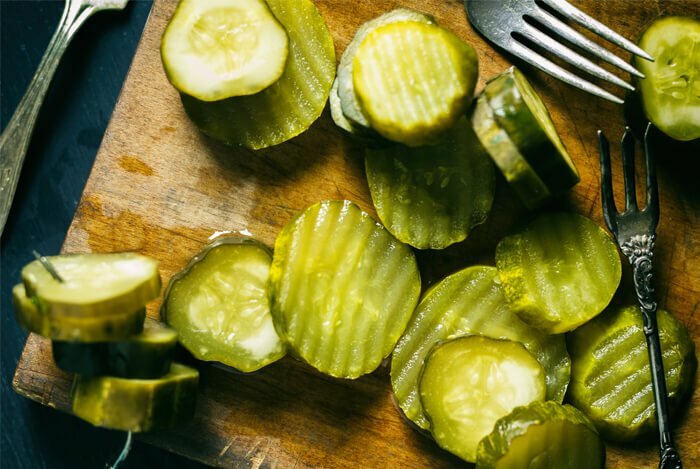 And yet another study suggested that actually swallowing pickle juice could relieve cramps – something that involves no metabolic processes whatsoever. The rest of the studies seem to indicate pickle juice is nothing more than a weak water, carbohydrate, and electrolyte replenishing solution. There seem to be no fantastic health benefits here. But, several of the same studies have shown that the sensation of vinegar and salt on your tongue can help relieve muscle cramps. It’s not clear if this would last long-term, or in everyone, but it certainly couldn’t hurt. There’s nothing special about salt water that once contained floating cucumbers, or pickles themselves for that matter. I’m sorry, but those are the facts, folks. There’s no evidence for any exclusive advantage you can gain from drinking pickle juice or eating the fermented cucumber, except perhaps a slight ability to ameliorate muscle cramps. Pickle juice may help with your cramps – and it may not. If you like the way pickles taste, great! Eat them and drink their juice in safe amounts and you shouldn’t run into any serious health issues. Just don’t expect any miracles. What’s your take on the benefits of pickles and pickle juice? Have anything else you’d like to share? Let me know in the comments below!